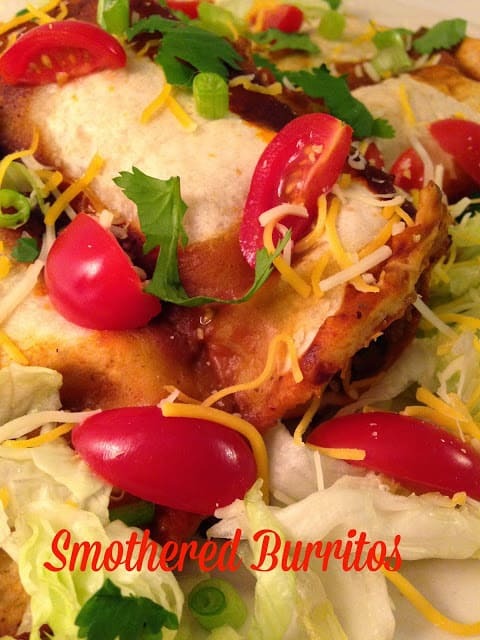 Smothered Burritos are Super Delicious. Add some chips and salsa and you’ll be enjoying a Mexican Dinner at home in no time. Smothered Burritos will not only have you doing the Mexican Hat Dance…add a few Frozen Margarita’s and you’ll be dancing to La Bamba all night long! Ole’ What exactly are smothered burritos? 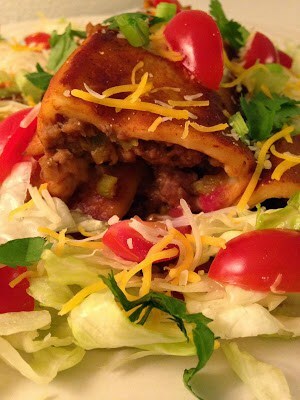 Basically stuffed burritos that are baked or smothered in enchilada sauce and served with you favorite toppings. In a medium skillet, brown ground beef with chopped onion, celery and diced green peppers, over medium-low heat until beef is browned. Drain, return mixture back to heat and stir in spices, diced green chilies and refried beans. Simmer for 20 minutes. Pour 1 cup of the enchilada sauce into a 13 x 9 inch baking dish. Spoon 1 tablespoon enchilada sauce down the center of flour tortilla. Spoon some of the meat/refried bean mixture over the enchilada sauce. 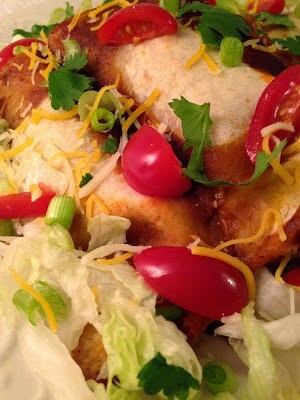 Tuck in the ends of the tortilla and carefully fold into a burrito. Place on top of the enchilada sauce in the 13 x 9 inch baking dish, seam side down. Repeat with remaining meat/bean mixture and tortillas. Cover baking dish with tin foil. Bake for 45 minutes, remove foil and bake an additional 15 minutes more. *Serve with these additional ingredients: shredded cheddar cheese, shredded lettuce, tomatoes, green onions, cilantro, avocado slices, lime wedges, sour cream and taco sauce. 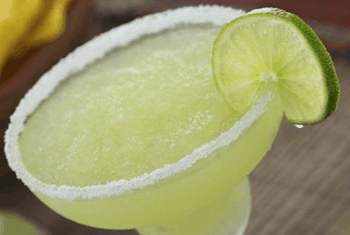 Combine pineapple juice, water, tequila, orange liqueur, frozen margarita mix, and limeade in a very large plastic container. (A large, clean, ice cream pail works great for this recipe) Cover and freeze at least 24 hours or until frozen to a slushy consistency. 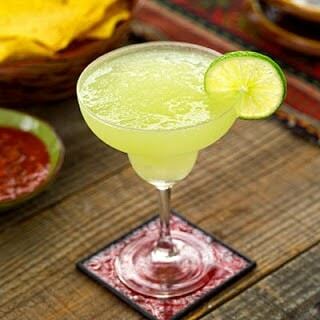 Moisten rims of margarita glasses with lime juice. Dip into coarse salt. Pour margarita mixture into glasses. Garnish with lime wedges.